Contracts are part of a strong foundation for any business. No business can operate without them. Because contracts are so important to businesses, it is crucial that every contract is drafted, negotiated, and reviewed by an experienced attorney. Contracts help businesses obtain supplies, employ workers, and even purchase or rent the space in which they operate. Only by working with a lawyer can you be sure your interests are being protected and you are getting a fair deal. At Feldman & Feldman, our meticulous attention to detail ensures our clients are always well represented with regard to their contracts. The legal definition of a contract is incredibly broad. For a contract to be binding, it must contain two elements: (1) all of the parties involved must be in agreement, and (2) something of value must be exchanged. This means contracts don’t necessarily have to be written down and that things other than cash can be exchanged. When you enter into a contract, it is important for the parties involved to understand exactly what they are agreeing to. A well written contract can protect you and your business from lengthy and expensive litigation down the road. At Feldman & Feldman, our Houston contract attorneys are with you every step of the way. We work to understand your business so we know exactly how to protect you when drafting contracts. When contracts involve any type of transaction, we will handle the negotiation for you to ensure you get the best deal possible. Our experienced attorneys also review contracts to make sure they don’t jeopardize your business. 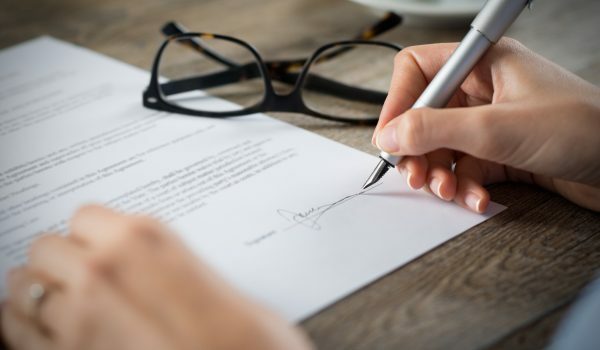 The contract attorneys at Feldman & Feldman have extensive experience in contract matters, regardless of whether a client is presented with a contract or needs a contract drafted from scratch. When drafting a contract or arriving at its terms, it’s important to have a skilled negotiator on your side. Whether it may be purchasing software, hiring an architect to design a building, buying health insurance for your employees, or engaging a professional for a particular project, Feldman & Feldman can assist you. Call us today to request a consultation.